Are you looking for a can’t-miss deal on an air conditioner? If so, Provincial Heating & Cooling has the air conditioner sales in Winnipeg for you. 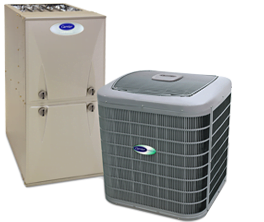 Serving residential, commercial and industrial clients, we offer a wide-ranging inventory of reputable, brand-name AC units. Whether you’ve found your current model is unreliable, too costly, isn’t operating efficiently or simply doesn’t work properly, our knowledgeable, experienced and courteous sales staff will be happy to walk you through the process of selecting the right unit for your home or business. If you’ve been considering replacing your existing air conditioner, but are still unsure if a full replacement is necessary, we’ve provided a few reasons why you might want a new system. The AC Unit is Becoming Ineffective – Have you thought to yourself recently that your air conditioner just doesn’t cool your residence or business like it used to? Rather than spend your hard-earned money on consistent repairs, replace it! In the end, the cost of a new AC unit will be less than the sum of those consistent, seemingly never ending repairs. It’s More than 10 Years Old – The average lifespan of an AC unit is 10 years. Even if it hasn’t experienced any issues, you should still strongly consider replacement given the technological advancements in air conditioning that occur over 10 years. A new AC unit will be drastically more energy efficient, quiet and reliable than a 10-year-old unit. If the time has come to put your current air conditioner out to pasture, fear not—we have a wide selection of new AC units in Winnipeg to choose from. Simply book an appointment today by visiting our contact page for our phone number and additional information! We look forward to helping you choose your new air conditioner.